This is the 6th Annual Blue Jay 5K. Come join us for an afternoon run around the campus of Elizabethtown College. This is Home Coming weekend but everyone is welcome. We cater to both runners and walkers. The proceeds of the race benefit the cross country and track teams of Elizabethtown College. Iron Jay competition participants can register at a reduced rate. Register after 10/1 for $ 30 Tech shirt as available but not guaranteed. Kids Fun Run – Following the 5K we will have a kids fun run. We will get started at approximately at 3:15 pm. The Kids Fun Run is Free for kids of all ages! Sponsorship Opportunities are still available. 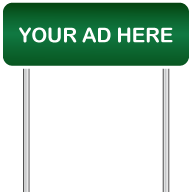 Our flexible pricing structure is a great value for your advertising dollar. You can get listed on the shirt, advertisement on our website, blog Twitter, facebook posts and much more. For more information email racedirector@appliedracemgmt.com. All race day activities take place on the grass field behind the Gymnasium.